NEW YORK, NY – June 3rd, 2015 – Lane Bryant is excited to announce that renowned Ready to Wear designer Christian Siriano will be creating a limited-edition line exclusively for the specialty sized retailer. The collection is set to hit stores Spring 2016, and will be sold under the Christian Siriano for Lane Bryant label. Christian Siriano combines old-school glamour with a modern whimsical twist using beautiful tailoring and intricate detailing. A member of the CFDA since 2013, Christian brings a fresh point of view to American sportswear. Christian Siriano will be the fourth designer collaboration for Lane Bryant joining the successful Isabel Toledo, Sophie Theallet and Lela Rose collections. 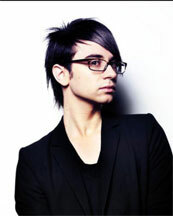 “Christian Siriano is a real star…from his highly publicized debut on television, his millions of social followers and through the years as he has successfully designed and shown his own beautiful ready to wear clothes worn by some of the best known celebrities, he has proved his talent on the world fashion stage. It’s a delight to welcome him to Lane Bryant and to be able to offer his exclusive designs for us beginning in the spring of 2016.” said Linda Heasley, CEO of Lane Bryant. Following his studies in London under Vivienne Westwood and Alexander McQueen, Christian Siriano launched his eponymous collection in 2008. The Christian Siriano collection is now shown each season at New York Fashion Week. Christian is known for show-stopping design – from fantasy evening gowns and cocktail dresses, to tailored sportswear, to modern shoes and accessories. In 2013 he was inducted as a member of the Council of Fashion Designers of America (CFDA).